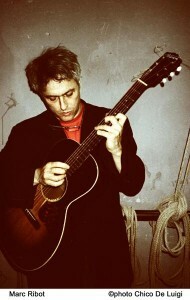 Experimental guitarist Marc Ribot has spent much of his career exploring the sounds of free jazz, no wave and Cuban music. This show will be the album release of his latest Silent Movies, featuring pieces intended to function as music for films. Also joining him are Young Philadelphians. For an eclectic menu that mixes upscale and down-home food, Blue Ribbon Downing Street Bar, a wine bar and restaurant, offers lighter fare including foie gras, cheese plates, caviar, and steak tartare. The Village Tavern is a really comfortable neighborhood bar that’s great for catching sports games or just chilling for a drink, which is what I prefer to do when I’m in the vicinity. Also in the area is Bleeker Bob’s . It’s one of the oldest independent record stores in NYC and the selection is deep. The place looks a mess, but the staff is surprisingly friendly and extremely knowledgeable about what they have.